Dig in to this banana pancake recipe – a gloriously decadent breakfast or brunch for long, lazy weekends. 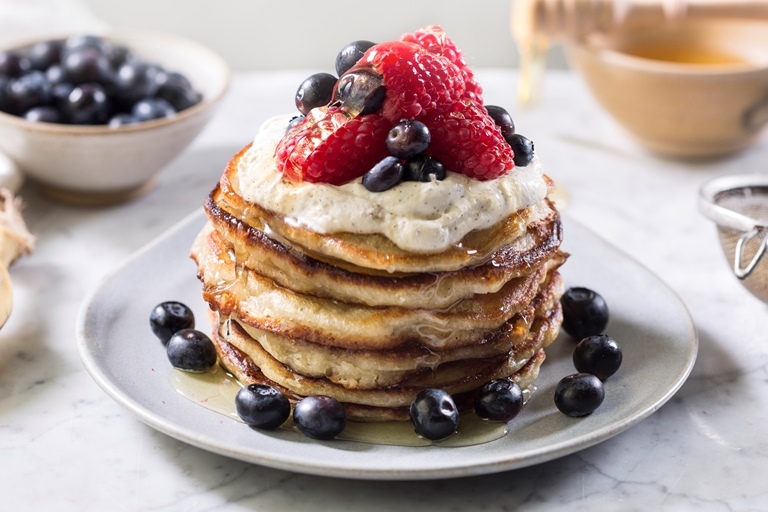 Serve these perfectly fluffly pancakes with your favourite choice of toppings – a selection of berries would work fabulously, or you could opt for a sweeter version with plenty of cream and even toffee sauce. 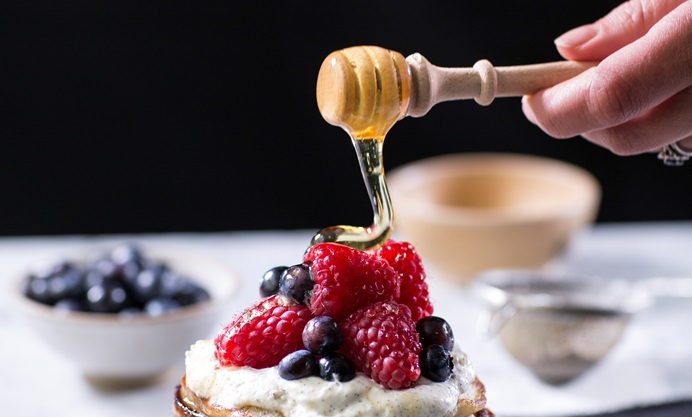 Serve straight away with your choice of fruit, honey or cream. Sally has even added some vanilla to the cream for an added burst of flavour.